It was half term a few weeks ago, and my Dad had offered to take my sister and I away for a few days so we could have a break. Our original plan was to stay at my Aunt and Uncle’s villa in Callian, France, but after a bit of thought we decided that it was a lot of travelling for only a few days away. My Dad then suggested a city break up to York. My Grandparents used to live in Yorkshire so we’ve had many a family holiday up there, but have never spent more than a few hours in York, so it seemed like the perfect idea. Sunday afternoon arrived and we headed off on our train up to York – not the best journey as it was completely packed and we ended up sitting on the floor in the vestibule! We were definitely glad to arrive and get a taxi to our apartment…and what a gem it was! 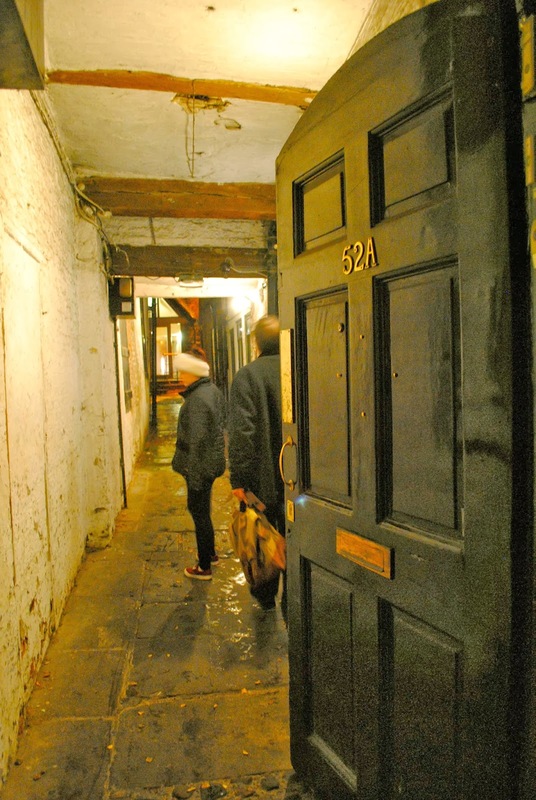 As we walked through the old York street, we found an inconspicuous looking door set amongst the shop fronts. It was very Harry Potter-esque, a bit like the entrance to Diagon Alley! Our apartment was linked to the pub, 'The Trembling Madness' who have two holiday apartments to let. We stayed in The Old Gallery – a pad that transports you back to the ‘60’s! It was a complete Godsend as it was so central, yet very quiet and really cosy. It meant we could pop out for a little wander but come back to rest throughout the day. We spent our Sunday evening just relaxing in front of the TV, while my Dad sampled one of the hundreds of beers that the pub stock! On Monday, we decided to visit The Castle Museum. I’d been there as a child, but couldn’t really remember it, apart from the old street that runs through it. It was fairly busy with it being half term, but we didn’t have to queue too long and moving around inside was no problem. 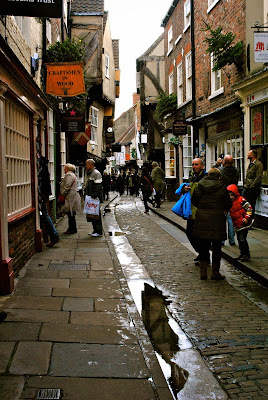 Coming back to our apartment, it was interesting to see The Shambles, as it really is like stepping back in time. The buildings and cobbles are beautiful, but I’ve heard they’re talking about getting rid of the cobbles to make it more disabled-friendly. I’m all for making places accessible, but it seems like such a shame to lose such an important piece of history. For a very late lunch, Dad and I decided to visit The York Cocoa House, who specialise in chocolate, and most importantly, hot chocolate. I’ve never seen so many different types and flavours of hot chocolate in my life! Dad and I decided to go for their classic hot chocolate and I’ve got to say, it really was the best hot chocolate I’ve ever had! We also treated ourselves to one of their lovely cakes, all made around a chocolaty theme. Very rich, but a very yummy treat. Tuesday saw us heading a few hundred metres down the road to Betty's cafe for breakfast. I’ve been a couple of times before for sandwiches and cakes, so was intrigued to see what they had on offer for breakfast. 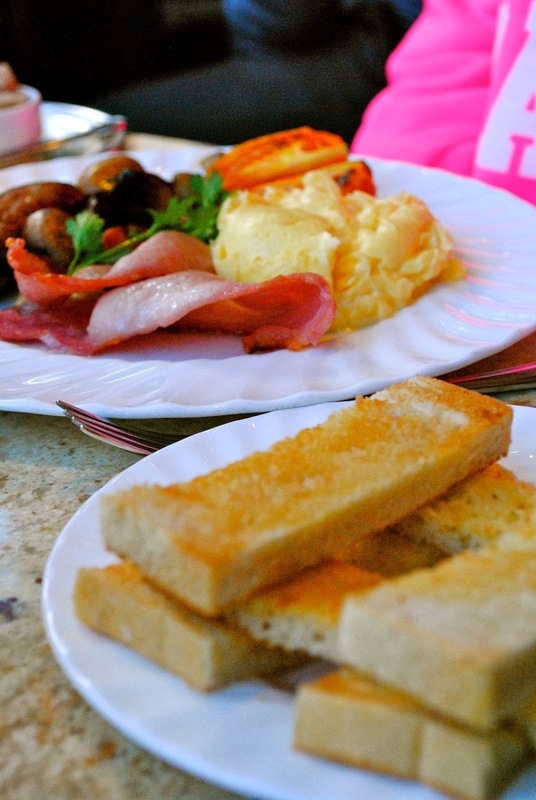 There was a lot to choose from – from a full English to Eggs Benedict and everything in between. I decided to go for fresh orange juice and muesli with autumn berries, while my Dad and sister both went for a full English. We spent the rest of the day relaxing and I met a friend for a coffee, which was lovely as generally we only manage to see each other once a year. York is full of great shops, so I was able to do a little bit of Christmas shopping before crashing out on the sofa and watching back to back episodes of The IT Crowd! On Wednesday we made our way back to the station and travelled home in style, deciding to pay a little bit extra to go First Class. Overall, although it was an extremely tiring few days, it was nice to get a change of scene and see such a beautiful city. Have you been on a UK city break? Where did you go and where would you most like to visit?